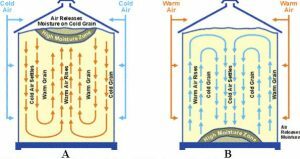 As temperatures shift from frigid to mild, warming of grain at the outside edges of bins will trigger new movement of moisture throughout the grain. 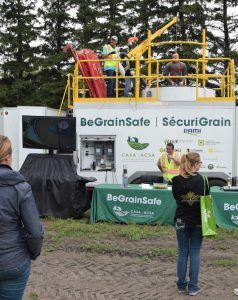 This could increase the spoilage risk for grain stored tough. Extended moments of warmer weather in winter can increase air and moisture movement inside bins. Put a priority on canola with moisture above 8% or higher dockage or green seed levels, all of which were more common after harvest 2018. What moisture level is too high to combine canola? How to prepare to handle high-moisture canola? How long can you store damp canola (>12.5% moisture)? How to reduce storage risk for high-moisture canola? How to add supplemental heat? How to estimate airflow rate (cfm/bu) through a bin? Canola that still has a lot of green seed might not de-green that much further. Green may have been locked in by frost and if more de-greening was possible, it probably should have happened already with the moisture over the past two weeks. When good harvest opportunities arise, the best bet at this stage of the season is probably to get that canola in the bin. Three quick questions to help you determine if your aeration fans can do the job. Storage: When to turn on the fan? 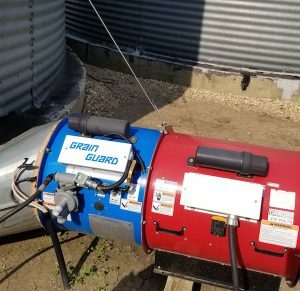 Aeration fans should be started as soon as the canola covers the floor of the bin, so that immediate cooling can take place. 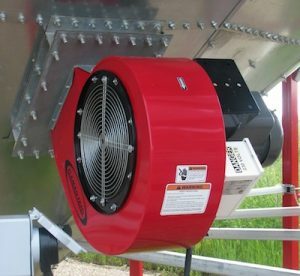 Fans must be operated continuously until the temperature of the canola is near the average outside temperature. The best move is to stay out of bins while they’re being filled or emptied. Usually the only time a person feels the need to enter a bin is if grain is bridged or crusted. This can be a very dangerous situation, especially if a wall of grain is released and buries a person. CASA provides these bin-entry basics…. 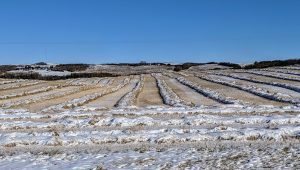 As we exit the winter period of really cold days, growers may wonder whether running fans on cold days to substantially drop the temperature of stored canola is worthwhile? This is not a researched scenario, but we asked grain storage researcher Joy Agnew of PAMI for her thoughts. Canola harvested at 15% moisture may not last long in storage before spoilage begins. How long is hard to predict. If warm, spoilage could start within a matter of days. If stored cool or cold, canola may last longer without spoilage, but this bin will become very unstable with any stretch of warm weather. When harvest is slowed by rainy, cool days, combining often occurs in short spurts. In those spurts, the first and last loads of the day are often tough. This can mean an increased storage risk. Condition these bins with aeration to even out moisture and temperature. Consider filling bins to only two-thirds capacity to allow for improved air flow. The best method, even with bin monitoring cables, is to remove about a third of the canola. This disrupts the moisture cycle and helps to stop any heating or spoilage that may have begun in the central core. While unloading, feel and smell canola as it comes out of the bin. 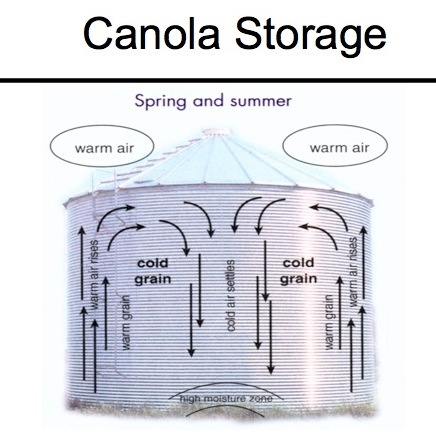 Storage risk: Can canola be too dry? Not really from a storage risk perspective. 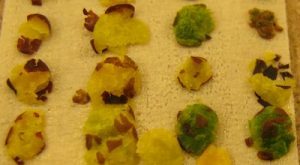 When canola is very dry, one risk is that seed could start to crack if handled aggressively.